Today I was lucky enough to drive an interesting car. 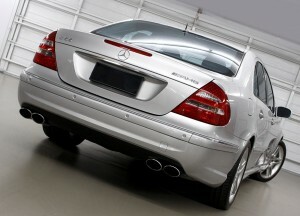 A 2003 model AMG Mercedes Benz E55, it comes standard with a supercharged 5.4 litre, 3-valves-per-cylinder V8 boosted by a Lysholm compressor spinning at up to 23,000 rpm and pushing air through a water/air intercooler. And there are no greater ‘damned lies’ than readership or circulation figures for magazines and other publications. To give you an idea, often when a print magazine quotes ‘readership’, they triple or even quadruple their actual sales figures. Why? Because they assume each copy is read by three or four people! In the same way – or even, come to think of, much worse ways – web sites quote all sorts of figures for their readership. AutoSpeed’s figures are logged by Google. I can look at our daily figures, weekly figures, annual figures – or even figures for the content, section by section. Further, through internal Web Publications data, I can view readership numbers, article by article. Finally, I can also see the number of reader ratings for each article, and what those ratings are. 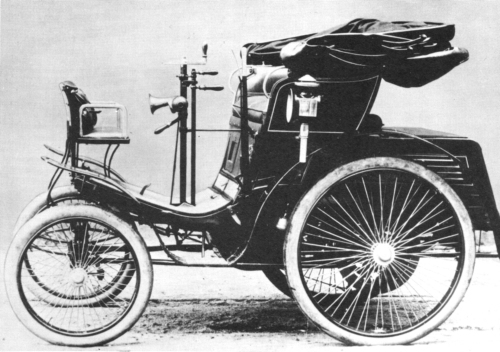 Today’s AutoSpeed article on electric vehicles is, as the box in the article states, based on a seminar given by Dr Andrew Simpson. Dr Simpson produced the paper that we used as the foundation for the Assessing the Alternatives article we ran about a year ago – it’s amongst the very best of articles you’ll find in deciding which fuels vehicles should be using. Andrew Simpson has just returned to Australia from four years in the US, where he worked at the US Government National Renewable Energy Lab in Colorado, and then was a Senior R&D engineer at Tesla Motors. I found his seminar quite riveting: it changed my views on a host of subjects relating to electric cars. Back here I covered how, when I first started to design my Air 150 recumbent trike , I spent a lot of time looking for the lightest possible springs. I tried rubber springs (in torsion, shear and compression), carbon fibre, elastomers and others. My initial desire was to use torsion bars, preferably made from spring steel. However, I gave up on doing this for a number of reasons – weight, stress level in the steel (best addressed by using multiple leaves, Volkswagen Beetle style), and the difficulty in fastening the ends of the bar without introducing even higher stresses. And the Firestone air-springs I chose to use in the final design are still my pick for springs in ultra light-weight vehicles. But the other day I came across a product that might have changed the situation. It’s a type of skateboard that uses two wheels, mounted in line. The two halves of the board can pivot relative to one another around a longitudinal axis, and the two wheels can rotate, castor style. In my hand right now I am holding a bolt. More specifically, it’s an Allen-key bolt (sometimes called a ‘cap screw’) that’s 30mm long and 10mm in diameter. It uses a metric thread. 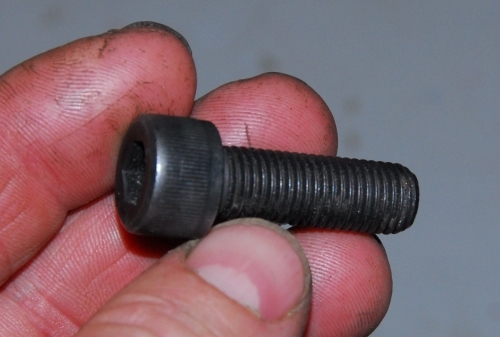 It’s a high tensile bolt, which means – in plain terms – that it’s bloody strong. I’ve just stepped over to the digital scales – it weighs 28 grams. Now the reason that the bolt was sitting on my desk is that a moment or two ago I took it out of my pocket. And the reason it was in my pocket is that I’ve just stepped in from my home workshop, after finishing for the evening. I’ve been building ‘Chalky’, my recumbent, full suspension touring bike that I hope to be one of the best human-powered touring machines in the world. Best for me, anyway.